Dhanush to romance Amala Paul? Dhanush, the awards winning actor is gearing up to start his forthcoming movie with director Sargunam. Latest buzz on this is, Dhanush will romance with Amala Paul in this rom com. Amala Paul, who is very choosy about the films she act is been approached to play the lead role in Sotta Vazhakutty and reported to have given her nod after listening the script. Sargunam will wield the megaphone for Sotta Vazhakutty that will start rolling from September, after Dhanush and Amala Paul completes their current commitments. Kathiresan, who has earlier produced Pollathavan and Aadukalam movies, will be producing this romantic comedy Sotta Vazhakutty, which means a charming boy. Meanwhile Amala Paul is busy with Samuthirakani directing Jayam Ravi starrer bilingual movie Nimirndhu Nil and Telugu remake of Tamil superhit film Vettai. While Dhanush is shooting for the last schedules of Bharath Bala directing Mariyaan, which has music by AR Rahman and busy with his first maiden production venture Ethir Neechal with Siva Karthikeyan and Priya Anand in the direction of Senthil, assistant of Vetrimaaran. 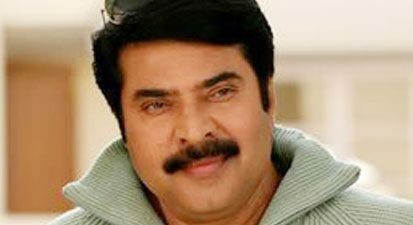 Megastar Mammootty team up with Lijo Jose Pellisserry ?